HURRICANE – A registration check and an attempted traffic stop led to a chase early Saturday morning when a man riding a motorcycle with expired registration fled from a Washington County Sheriff’s Deputy. The motorcycle turned out to be stolen. Just before 2 a.m. Saturday, Washington County Sheriff’s Deputy Robert Tibbitts ran the plate of a passing motorcycle that was traveling south on State Street in Hurricane and discovered the bike’s registration had expired in March, according to a probable cause statement filed by Tibbitts in support of the motorcyclist’s arrest. Tibbitts then saw the motorcycle swerve to the right and leave the travel lane, so he activated his lights and attempted to pull the man over. “The motorcycle accelerated through the intersection and failed to yield to my emergency lights,” Tibbitts wrote in the statement. Tibbitts notified dispatch and activated his siren. Tibbitts and other deputies, who joined the chase, pursued the man through Hurricane to the Interstate 15 on-ramp near Coral Canyon and up I-15 almost to Iron County, Washington County Sheriff’s Detective Nate Abbott said. The motorcycle came to a stop at Exit 40 and the man, later identified as Terry Wayne Woody, of Ogden, was arrested. “It appeared that maybe the motorcycle had stalled or stopped working,” Abbott said. Tibbitts ran the vehicle identification number on the motorcycle and discovered it had been reported stolen out of Cottonwood Heights. Neither dispatch nor deputies could locate a valid driver’s license listed for Terry, Tibbitts wrote in the statement. Deputies ran his information through dispatch and discovered he had an active no-bail warrant for a parole violation. 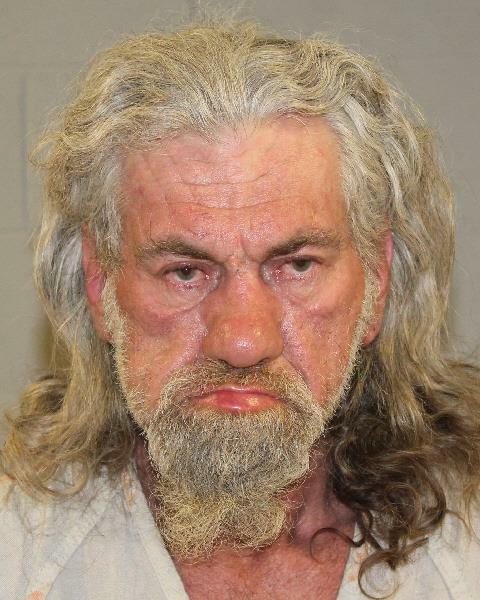 “While taking inventory of the items on the motorcycle, deputies located a Crown Royal bag in the left saddle bag that contained multiple used syringes and a plastic bag with white crystal residue consistent with methamphetamine,” Tibbitts wrote in the statement. Woody was transported to the Washington County Purgatory Correctional Facility. He was booked on one second-degree felony charge for receiving a stolen vehicle; a third-degree felony for failure to respond to an officer’s signal to stop; a third-degree felony for possession or use of methamphetamine; a class B misdemeanor for possession of drug paraphernalia; and a class C misdemeanor for not having a driver’s license in his possession while operating a motor vehicle. He is being held on $20,000 bail, cash only, according to court documents. Woody had his initial court appearance Thursday. The sad thing is Terry is only 26 yrs old. Look what meth did to him.